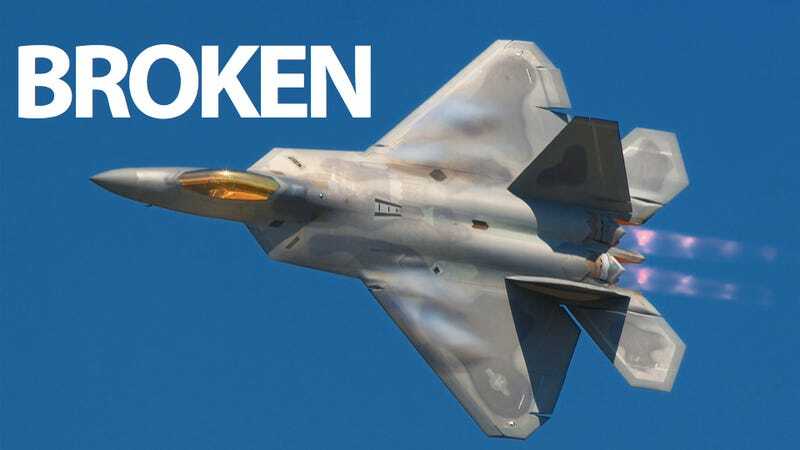 Last month, the Pentagon gave the OK to the nation's fleet of extremely expensive F-22 jets, despite failing to fix the plane's oxygen deprivation problems. They decided to just see how things went. They didn't go well: it's broken again. The F-22 Is Back in the Sky! And Still Kinda Broken! "Part of our protocol is to allow units to pause operations whenever they need to analyze information collected from flight operations to ensure safety. That is what is happening at Langley at the moment, and we support that decision."